The custom Sonic Weld Flames Brushed Heavy Cotton Cap will get tongues wagging. With flames running up the peak it is sure to stand out. Are you looking for something with a touch of passion to give as freebies to targeted clients such as bike clubs, car racers and the like? 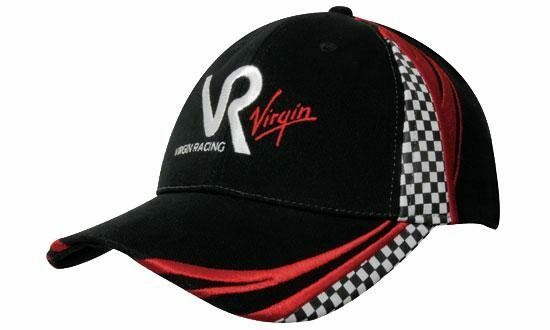 Pick this branded Sonic Weld Flames Brushed Heavy Cotton Cap and your company will surely be the next talk of the town. 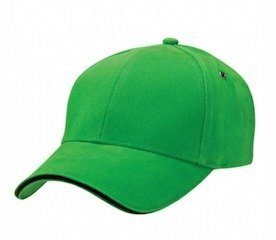 It is very wearable and eye-catching – the two criteria that will prompt the owner of the cap to wear it almost every day. The burning flames effect on both sides of the peak fits the personalities and interests of riders and other sports enthusiasts. Bikers are motorcycle riders who usually form a group or club to support a cause. Some would organize events to raise funds where the proceeds will go to assistance programs or projects. Others just aim to promote a brand and some ride for leisure. While bikers ride for various causes, car racers do it for entertainment and passion. Car racing was born during the early 1900s to entertain people who loves sports and cars. The custom Sonic Weld Flames Brushed Heavy Cotton Cap is an ideal promotional cap if you are drawing these types of crowd. It is designed for regular use as its cotton fabric could stand several machine washes. It has the regular six panel design with a short touch strap as a closure. The peak is pre-curved adding to its stylish flames detail. You can add your company logo on the crown or on the sides through embroidery stitches or by printing. 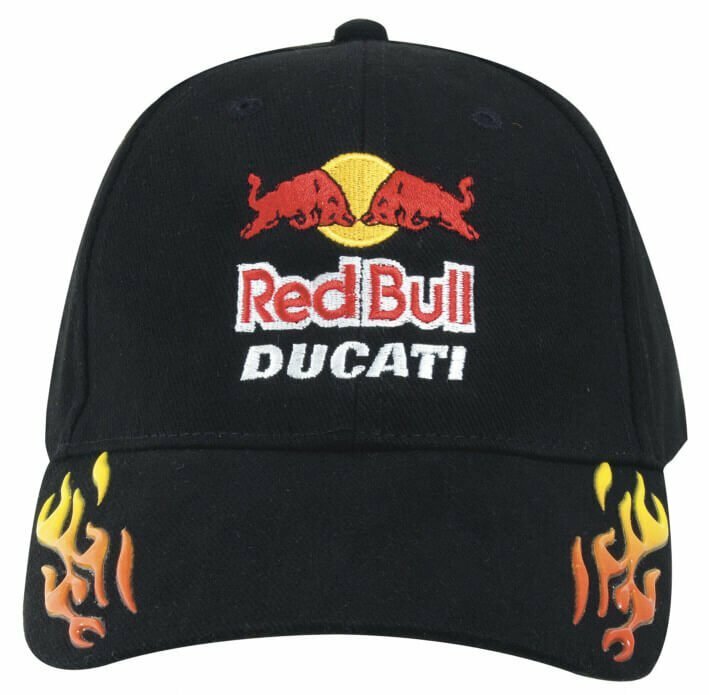 Because the weld flames look better on a dark colour, the personalized Sonic Weld Flames Brushed Heavy Cotton Cap can only be availed on black colour. If you are looking for more options of customized baseball caps with flames design, you can take a look at the signature ptomotional Heavy Cotton Flame Cap which has a distinctive flame design on its peak or the embroidered Brushed Heavy Cotton Double Flame Cap featuring flames running from the sides of the peak to the crown. Blaze a trail to the top with our branded Sonic Weld Flames Brushed Heavy Cotton Cap! 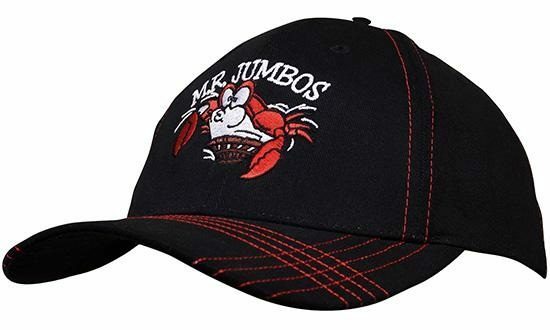 This striking headwear is a handy addition to your marketing giveaways. Rev up your brand further with our personalised M&Ms Biz Card Box and our other customizable confectioneries. If you have more questions, kindly dial our customer support number on 1300 008 300 and let our customer service representatives assist you in all your purchasing needs.